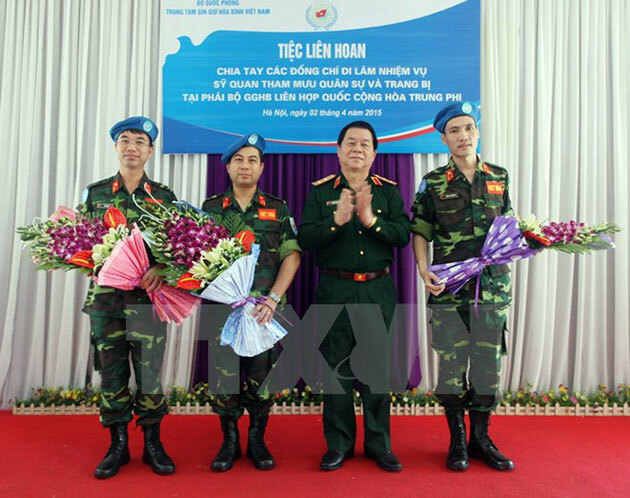 Vietnamese officers joining UN peacekeeping missions have fulfilled all assigned tasks and highly valued by the UN, mission commanders and international counterparts. It was heard at a meeting between the inter-disciplinary working group and the Defence Ministry’s Steering Committee on Vietnam’s participation in UN peacekeeping operation in Hanoi on February 15. Participants agreed that last year, Vietnam’s engagement in UN peacekeeping activities made important contributions to the multilateral external relations and international integration of the country in general. The work was implemented in line with the roadmap set in the master plan on Vietnam’s participation in UN peacekeeping operations in 2014-2020 and beyond, they said. Vietnam maintained the close management over officers joining UN peacekeeping missions in the Central African Republic and South Sudan, ensuring absolute safety in human and equipment. The Vietnam Peacekeeping Centre also held training courses in preparation for the deployment of the level 2 field hospital at the UN missions, while the Defence Ministry’s documents specifying functions, missions, rights of the centre as well as policies for those joining UN peacekeeping activities will also be completed. Addressing the event, Deputy Defence Minister Senior Lieutenant General Nguyen Chi Vinh and Deputy Foreign Minister Ha Kim Ngoc urged relevant agencies and units to continue strictly implementing the Party’s external relations viewpoints and policies. They should focus on completing the building of objectives, principles and roadmaps as well as forms of Vietnam’s participation in UN peacekeeping activities in line with the UN Charter, international practices and the law and specific conditions of Vietnam. On this basis, Vietnam will step by step expand the scale and fields of engagement in the UN peacekeeping operations, they said./.